The topic of this flyer is Mnemonic devices. The reason for choosing this topic is because it is interesting to me. I am interested in mnemonic devices because I use them all the time on a daily basis. It is interesting that people can come up with neat tricks on memorizing difficult and confusing topics. After researching this, I will know many new tricks and ways to help me when ever traditional studying will not suffice. 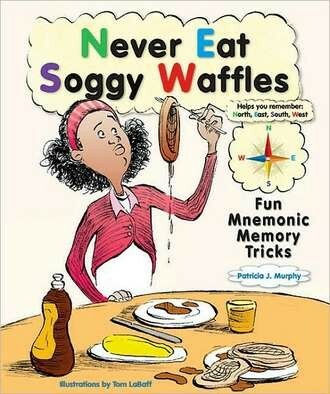 As for my peers, they will learn about a memory trick that is not well known to many. They will also know how to train themselves in memory. A mnemonic device is a technique that humans use to remember things by using other ideas to connect the two. In the end, one will be able to remember something by using information they already know.Mnemonic devices have been used ancient Greek times. 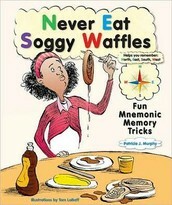 5 popular mnemonic devices are "The Method of Loci", "Acronyms", "Rhymes", "Chunking and organization", and "Imagery". The Method of Loci is the most popular as people use familiar items to connect with an unfamiliar item. This method can be used to remember directions by using landmarks. The next popular device is an acronym. This is when the first letters or a group of letters are brought together to form a word. 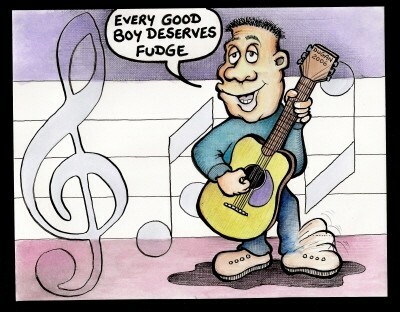 Music students use this to remember the order of the treble staff: EGBDF - every good boy deserves fudge. The rhyming method is good to use when the ending of words are involved. A common example is "Columbus sailed the ocean blue in fourteen-hundred ninety-two." The chunking and organization device is used when you have too many items to remember so you put it into chunks. A phone number is divided into 3 3 and 4. People can remember this better than all 10 digits. The imagery device is usually used with 2 words, for example yellow sun, green grass, and blue sun. These are the many common devices that are also very effective. Many things happen in the brain during Mnemonics. Increased activity in the occipito-parietal cortex and left retroplenial cortex is what happens in the brain during mnemonics. The parts that are involved are the regions that are associated with spatial mental visualization. A few years ago,Margo A. Mastropieri and Thomas E. Scruggs conducted an investigation on the effectiveness of mnemonic techniques in helping students with mild cognitive disabilities remember U.S. states and capitals. When they came back to visit the school, a girl approached them and challenged them to ask her any state. They asked her a state and she used mnemonic devices to remember the capital. The state that they asked her was Florida, she correlated Florida to flower, and the flower was on the television, and television connects to Tallahassee. They were both surprised that a child with mental disabilities can remember something a year ago without any practice by using mnemonics. Mnemonic devices can be used with anything. The most common is with math students - Please excuse my dear aunt sally. On the compass, Never eat soggy waffles- North East South West. They can be used to help students learn better.